The New York Police Department is investigating allegations of sexual misconduct leveled against celebrity chef Mario Batali. 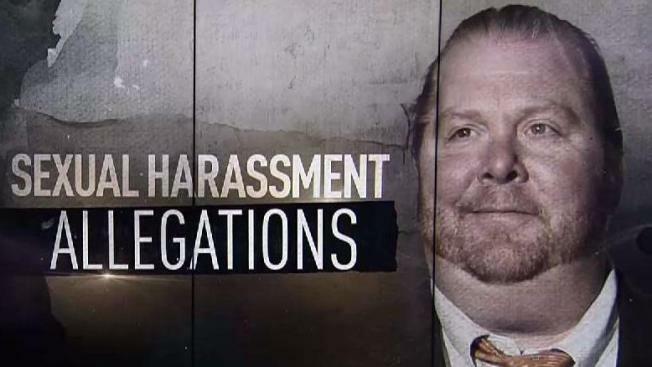 The NYPD confirmed the probe following a "60 Minutes" broadcast Sunday night in which an unnamed woman accused Batali of drugging and sexually assaulting her in 2005. She says she remembers joining him for a glass of wine at a Manhattan restaurant, then waking up on the floor feeling drugged and assaulted. She says she talked to the police but never filed a report. Batali issued a statement to CBS denying that he assaulted the woman. Batali stepped down from daily operations at his restaurant empire and cooking show "The Chew" in December after four women accused him of inappropriate touching over a period of 20 years.